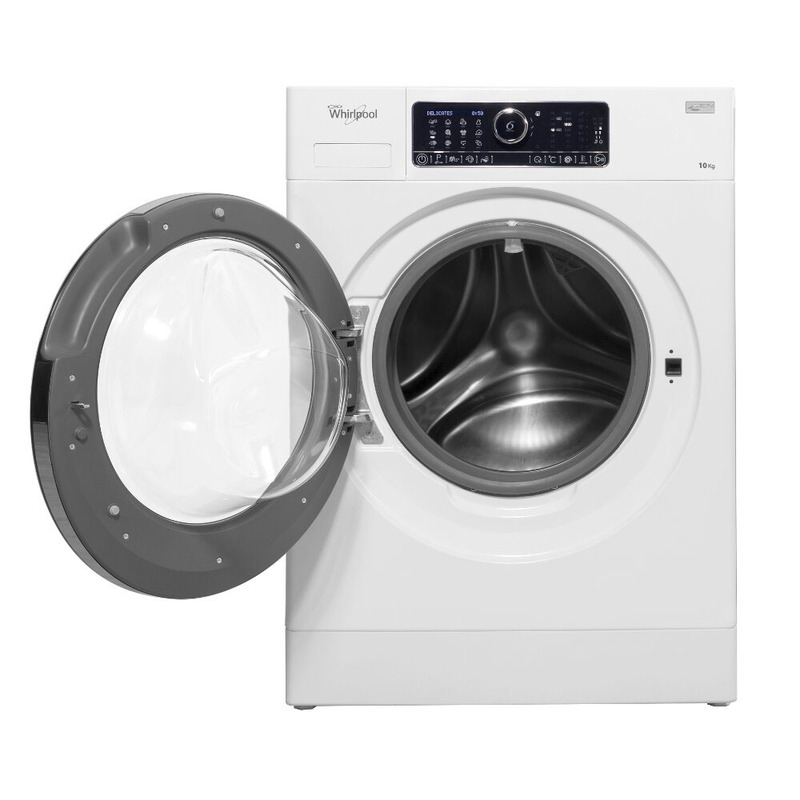 This Whirlpool FSCR10431 washing machine has the quietest spin cycle on the market. It runs at little more than a whisper thanks to our latest Zen technology, so a late night wash won't disturb your sleep. It also has the latest spray technology to save water. A powerful jet in the drum sprays directly onto your clothes, for the best rinse performance. For your convenience this washing machine can tumble your clothes after every wash for up to 6 hours after the cycle ends, keeping your clothes smelling and feeling fresh if you aren't available to remove them immediately. With a convenient 15 minute quick wash for 3kg of washing, this machine is also perfect for the moments when you need clean clothes quickly as well as intensive rinse for those tough stains.